In the hustle of city life, as I was commuting to work I got a fleeting glance of this baby yesterday and remembered to take my camera today. 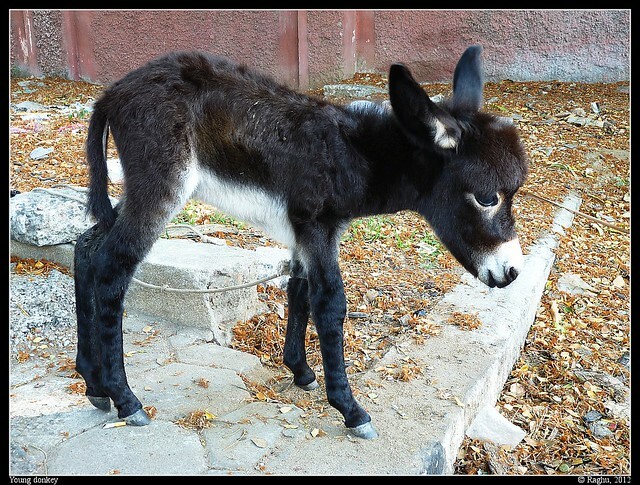 Looks like there is a small demand for donkey's milk, and this one and its mother were tethered on the roadside to catch the needy ones' attention. Having got down off the bike to photograph, I also got a feel of the animal - they are so warm and friendly, want to get petted and don't feel shy of your getting near them. In fact, the young one felt so smooth and silky all over! The owner says people do get attracted by the foal and take time to get off their vehicle, come near and photograph, and I was the nth person to do so! I was glad to hear that. Last edited by Raghu; Apr 28, 2012 at 2:57 AM. Love that first one Raghu. That little one sure is cute. My daughter, were she there, would have me buy it for sure. Thanks Steve. 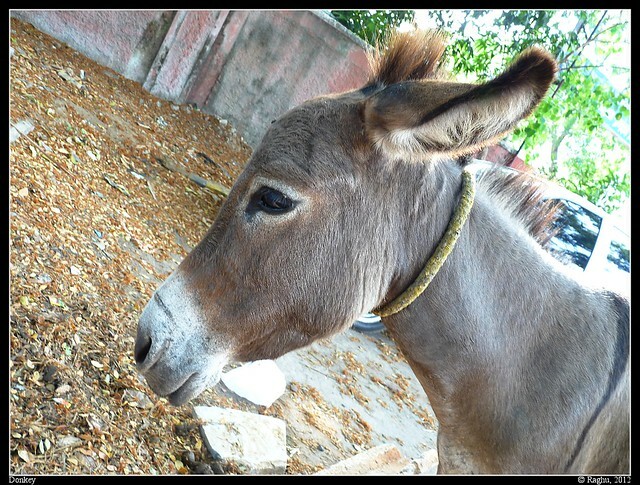 This is the first time I ever went close to a donkey. The little one made me touch and feel him and oh, how silky smooth his fur is! Your daughter would certainly love it. Beautiful both, but the first one is so cute!! Awwww, soft and cuddly. Till they get a little bigger and obstinate. Well done! What a cutie!! His head looks too big for his body!